This inspiring collection contains some of Steve's most popular songs from his many years in youth ministry, songs that showcase his songwriting prowess, his deep, sincere faith in Jesus and his heart for the poor and suffering. 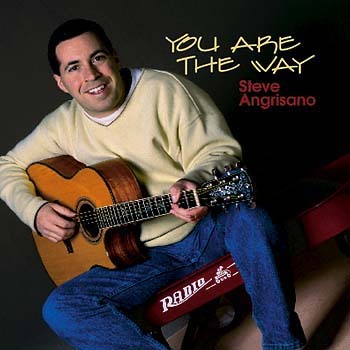 For You Are the Way, Steve put together 10 original songs that celebrate a God who, by becoming one of us, showed us the way to peace and happiness in this broken world. In the words of the title track: "In a world that's movin' fast we seek what will not last; we miss the narrow road. But when we look inside ourselves, we find that no one else but you can make us whole." The title track, with its driving, pop-rock rhythm and familiar refrain, was theme song for a past National Catholic Youth Conference (NCYC). "Pamela" is a sweet prayer-song for one whose pain Steve sees "in your eyes." The album closes with "Jamaican Me Crazy," a contagiously fun reggae number. Buoyed by beach sounds and authentic Caribbean percussion, this playful retelling of Jesus' "Lily of the Fields" discourse reminds us of God's mercy for even the "least of these." You Are Near is great music with a great message.